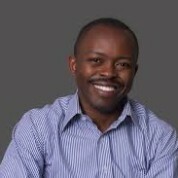 James I. Mwangi is the Executive Director of the Dalberg Group, which works around the world on issues and opportunities relating to inclusive growth and sustainable development. The group currently has 14 offices around the world, and has activities ranging from strategy consulting, to investment advice and primary research. Prior to his current role, James served as Global Managing Partner of Dalberg’s Strategy Consulting business and also founded and led Dalberg’s business in Africa for several years. As a consultant, James’ clients have included several Heads of State, Cabinet Ministers and leaders key global institutions. Much of his current work focuses on helping Chief Executives and Investors interested in the intersection between commercially attractive and socially impactful business in frontier markets, particularly in Africa. "By shining a bright light on the very best teachers around the world, this Prize serves both to recognize and celebrate these invaluable shapers of young minds, while at the same time giving us an inspirational look at the practical ways in which our finest educators develop and maintain their excellence in this most challenging of professions."